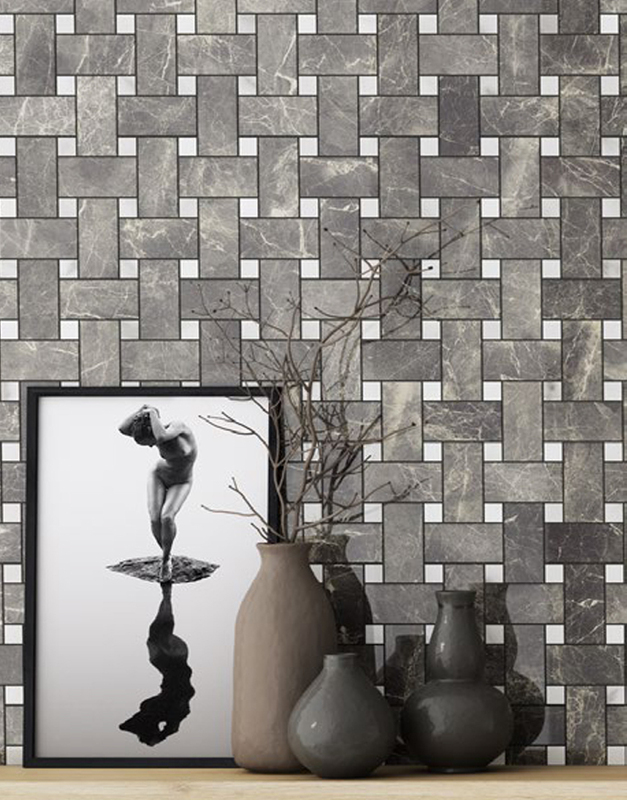 Bold, statement decor tiles are a great way to enhance the feel of your luxury development or private client project. At Concept Virtual Design we work with only the most current and chic manufacturers, to give your luxury development a unique design and visual feel. Marble especially is a highly versatile material which has an age old symbolism to it. Marble décor tiles promote an air of relaxation and luxury without being overpowering to other features within the room. 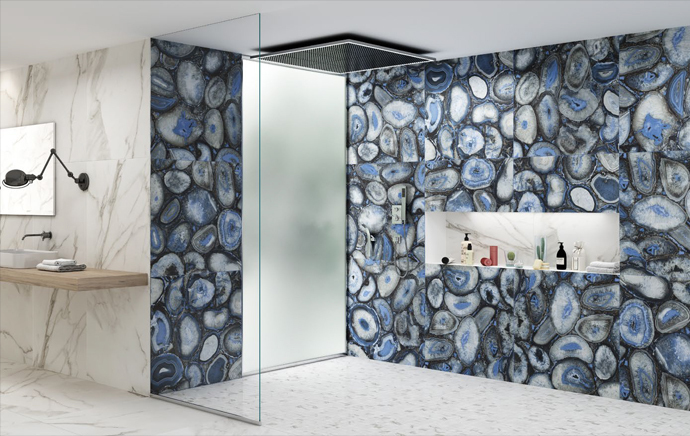 Using a single style of boldly styled marble can create a stunning feature wall, to base the rest of you luxury bathroom around. Or when paired with more neutral colour tomes, it can create a decadent flow throughout your luxury development. Monochromatic styles can be truly stunning in the furnishing of bathrooms, why not extend that to the floor and walls? Using 2 elegant designs, cut and laid in different patterns, can create a striking accent feature to a room, while allowing it to flow and blend effortlessly with its furnishings. 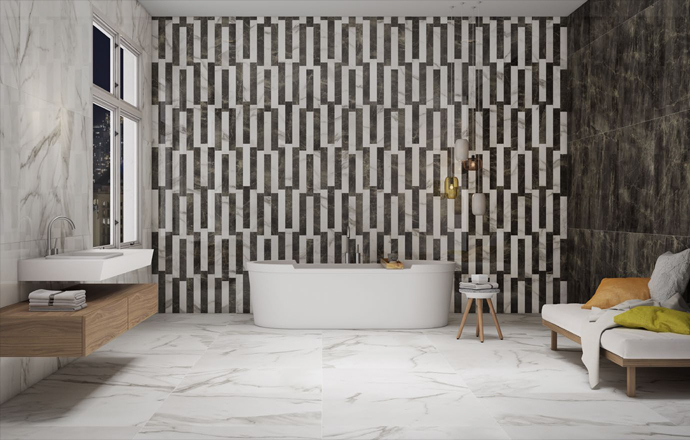 Hi end décor tiles are the perfect way to add style and timelessness to any luxury development, if you would like to know more about our range of decor tiles or to see our latest selections then visit our specialist bathroom and tiles studio. Concept’s in house design team are available for project consultations on an appointment basis . Often the early planning of your luxury bathroom project during the build process is essential to achieve the very best bathroom designs, optimising space and flow. This entry was posted in Luxury Bathrooms and tagged Bathroom Decor Tiles, Bathroom Design Reading, Bathroom Designer, Bray Bathroom Design, Hi End Bathroom Tiles, Italian Bathroom Tiles, luxury bathrooms, Maidenhead bathroom design, Marble Décor Tiles, Pangbourne Bathroom Design, Windsor bathroom design. Bookmark the permalink.